As we head into the fall festival season, we have some great news about The Immortalists. A lot has happened since our World Premiere at SXSW, and this fall will be a busy time for team Immortalists as we crisscross the globe, screening the film to new audiences and provoking debate about longevity and futurism. We will begin October with the California Premiere at the prestigious Mill Valley Film Festival, followed by a showing in Moscow’s 360 Contemporary Film Festival, the London BFI International Film Festival, the Hollywood Film Festival, and then the Philadelphia Film Festival— all in October! But that’s not the end of it: We are thrilled to announce that we will begin our theatrical release of the film on November 28th in New York City and then December 11th in Los Angeles. This is fantastic news because a theatrical release is *extremely* rare for documentaries. The directors will be in attendance for the New York and Los Angeles theatrical premieres to participate in Q&As and lead fascinating discussions on radical longevity and indie filmmaking. We got an outstanding review in On Milwaukee, when the film played at the Milwaukee Film Festival. Maxim wrote a great review (while omitting ½ of the directorial team!). Also, friend of The Immortalists Patrick Brice (director of CREEP) gave us a shout out in Sac Town Magazine. Quartz: We may already know how we will cure death—but should we? 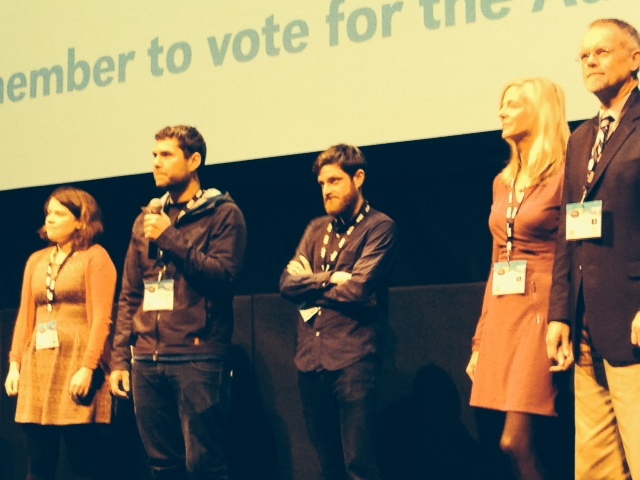 Big thanks to everyone who made it out to the World Premiere of The Immortalists. We couldn’t have been happier with how everything turned out. 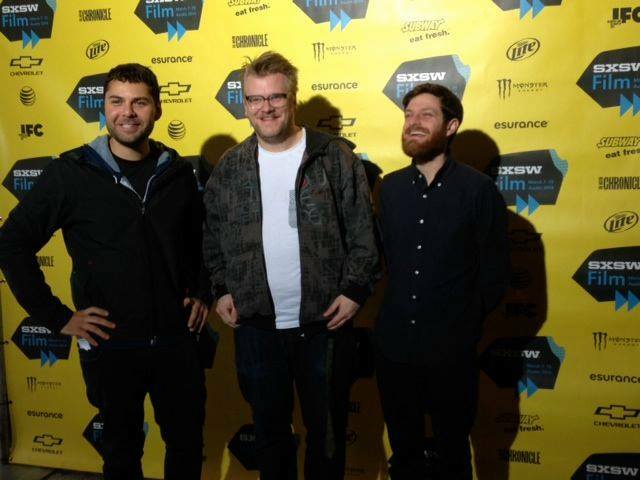 The stellar team at SXSW rolled out the red carpet without a hitch. Dr. Bill Andrews and Molly Sheridan were there on tap to answer questions about telomeres, ultra-running and what is was like participating in an intimate documentary for three years. It was great having some of the subjects out to the screenings to connect directly with audience. Despite the cruddy weather, the audience came out in droves for the three screenings. They laughed, cried, jeered and cheered. The questions during the Q&A were thought provoking and excellent. Our hope is that the discussions about the philosophy and science of radical longevity last well beyond the theater– and that is certainly what we experienced, chatting with festival-goers into the wee hours. We got great write ups in IndieWire, Huffington Post, LA Weekly and more soon! Also, IndieWire’s Beth Hanna tapped The Immortalists in the Top 10 best of the fest. 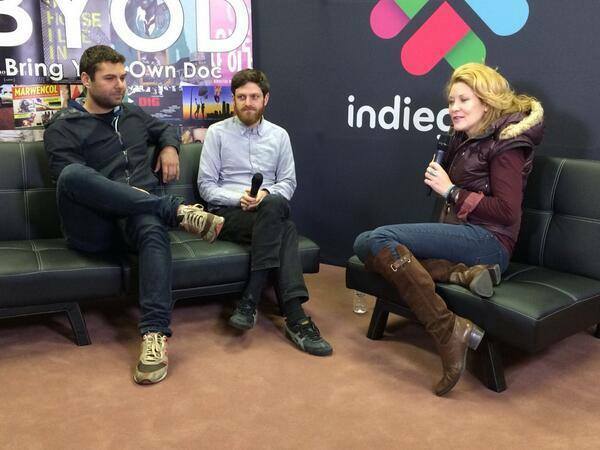 The directors gave full length interviews with BYOD and No Film School, which should post soon! We brought a full crew to represent the film including both directors, Jason Sussberg and David Alvarado, producer Kate McLean, executive producer Chuck Braverman, editor Annu Lilja, and sound designer Peter Albrechtsen who came all the way from Denmark! Now, off to Wisconsin, Idaho AND (big announcement) HOT DOCS! Why do we seek immortality? Easy: because the alternative is to die. And nothing motivates us quite like the looming presence of the Reaper. Indeed this motivation is so powerful that the simple fact that you are now reading about death will already have shifted you, dear reader, into a different state of mind. If you are religious, you will now be feeling more religious. If you are patriotic, you will now be more patriotic. If you have something against foreigners then you will now have become more xenophobic. Whatever makes up the kernel of your world view, you will now more aggressively defend it and reject whoever opposes it. All because I just reminded you that you will die. Over 400 studies from the field of social psychology have demonstrated this phenomenon. In all these experiments, half of those whose views were being tested would be reminded about their death – for example, by being interviewed in front of a funeral parlour, and there other half not. The opinions of these two groups could then be compared on a range of issues. In every case, those reminded of their death would more strongly defend the central elements of their worldview. An example: a group of Christian students were asked to give their opinion of the personalities of two people. These people were very similar in all respects – except one: one was a Christian, like those being tested, and the other was a Jew. The control group who weren’t reminded of their own death judged the two people very similarly. The other group, who had been reminded of their mortality, judged their fellow Christian much more positively and the Jew much more negatively. But other studies shows that this effect is not just limited to religion. Those for whom law and order is an important part of their worldview, for example, become stricter in its enforcement. In one classic study, a group of judges in Tucson in the USA who were reminded of their mortality set a bail for a prostitute that was nine times higher than those who were not reminded of their mortality. The researchers behind the 400 experiments were inspired by Sigmund Freud and an American anthropologist called Ernest Becker. Their theory is called Terror Management Theory, as it is about the stories we tell ourselves to manage the terror of death. We have the same will to live as all creatures. But unlike other creatures, at least as far as we know, we also have the awareness that this will to live will one day be thwarted. So we must live in the knowledge that the worst thing that could possibly happen — for each of us, our own death — one day surely will. We must each live in the shadow of a personal apocalypse. And that is not easy. But exactly because this awareness of mortality would be debilitating were we fully conscious of it, is why we develop certain stories that deny the reality of death. They promise us that we can somehow escape the Reaper and keep living — without end. Or perhaps, like Aubrey de Grey and Bill Andrews, the two men featured in The Immortalists, you place your faith in scientific progress. All cultures in human history have had some kind of myth or legend of an elixir of life or fountain of youth — something that can keep disease, ageing and death itself at bay. Such stories can be found in ancient India, Babylon, Egypt, China, etc. Since the advent of modern science, these stories have continued to be told, but using whatever scientific vocabulary is fashionable. A hundred years ago hormone treatments, which had just been discovered, were all the rage; one professor made a fortune by sewing slices of monkey testicles onto millionaires with the promise it would turn back the clock. Another had the rich and famous queueing up for a vasectomy in the belief it would make them young again. Half a century later, the double Nobel Prize-winning Linus Pauling, father of biochemistry, advocated vitamin C as the elixir of life. Today our elixirs are telomeres, stem cells and nanotechnology. Humans have told such stories since the beginning of recorded history, and I suspect they always will. And though our descendants might, if they’re lucky, live a little longer than us, thanks to the work of people like Bill and Aubrey, neither we nor they will live forever. The only real science of immortality is therefore not telomeres or nanotech. It is the research from social psychology that shows how it we alone of creatures must live with the fact of our mortality; and which explains why we are therefore driven to tell ourselves these stories of defeating ageing, disease and death. Official screening times for The Immortalists are posted! The World Premiere (*chills*) of our film will be 11:00 am, Saturday March 8th at Stateside Theatre on Congress. We have guest tickets, so email j[at]dogpatchfilms[dot]com if you want to come for free! Additional screenings are Sunday, March 9 2:00 pm at AMC Theater at VCC, and Saturday, March 15 11:00 am at Topfer Theatre at ZACH. A Pew research poll conducted last year showed that 56% of respondents didn’t believe humans would use radical life extension technology. On its own, the number really means nothing. The respondents may not have understood the kind of technologies being referred to, or could have misunderstood the question itself. If pressed to live an extra day or die, I’m willing to bet each one of these people would take the day. We will keep wanting to live one extra day, forever. Yet, the life extension and anti-aging movement raises more nuanced conundrums than just “do you want to live or die?” You have to imagine the kind of society that will result when radical life extension technologies are widely available. Because not only will it dramatically alter the duration and quality of life, it will change our social mores and traditions as well. A world in which death can be indefinitely delayed is a world that will see revolutions in criminal justice, marriage, family, class, and population control. How will we determine proper jail sentences? A sentence of 50 or 60 years given to an adult has traditionally been seen as a life sentence. The man (or woman) will die in prison, or be so old he would likely rather die than wander the strange new streets as a physically broken 100 year-old. But what about a life sentence? How will we determine what is a proper amount of time for someone to spend in prison when life is extended by 50 to 100 years? And, more importantly, will convicts have access to radical life extension treatments? It doesn’t make much sense for someone with a life sentence to keep on living indefinitely, but you can bet that inmate will want to live an extra day, every day, just like the rest of us. Sentences and punishments may have to be lengthened and increased. At the same time, we will have to look more for rehabilitation, so that a person serving a thousand year prison term doesn’t waste a millenia of resources in the absence of a death sentence. Will the institution of marriage finally be destroyed? “Till death do us part” is going to sound a lot different when you’re talking about hundreds, possibly thousands of years. In a society that already has trouble sticking to monogamy, will radical life extension be the death blow to the institution of marriage? Or, will people instead move towards a new model of shortened marriages or even simultaneous marriages–otherwise known as polygamy? Perhaps families will return to more communal based social units, living in communities of interbreeding mothers and fathers who collectively raise hundreds of children and thousands of grandchildren–small, familial townships. Those who remain monogamous for thousands of years could turn into the hallowed equivalent of living saints. Respected, but antiquated. Will such a shattering of traditional marriage pave the way for equal marriage rights for homosexuals, or will that have already happened? Sometimes futurism doesn’t actually catch up with the future. How will families manage the increasing disparity in age and generation? Will family dinners get more or less cantankerous when there are 50-year differences between siblings and 100-year differences between parent and child? With fertility rates extended and people remaining sexually active (or maybe by this time will we have divorced reproduction from sexuality) well into their hundreds, the gap between generations will be more pronounced and a whole a new set of social relationships will appear. How will economic and class status determine the right to live longer? At first it sounds rather obvious–well, of course, the wealthiest will get to buy the most top notch gene therapy and nanobot solutions. But even in our current plutocratic society, we still haven’t fallen to the point where we actually say rich people deserve to live and poor people don’t. So why does it follow that after life extension is developed, we will say that rich people deserve to live longer than poor people? You’re still equating the value of life with money. The recent film Elysium touched upon this issue. imagining a world in which the very rich have absconded to an Edenic off-Earth ring world while the masses fester on our polluted, overpopulated home world. Frankly, it’s hard to imagine life extension technology not being privatized, and while some therapies will trickle down to the masses, one has to expect that the newer, more extensive therapies will be reserved for those who can slam down some serious Bitcoin. Eventually, one can easily imagine this leading to one or more partitions in the human species–the posthuman gods, the middle class transhumanists, and a small minority of anti-technology Luddites. The overpopulation argument is pretty old (pun intended) for fervent anti-aging activists by now but, coming at it from a sheer numbers point of view, it’s a question that must be answered. With the vast majority of humans living significantly longer, we are either going to have to reimagine our energy use and urban spaces, or colonize off-world. There is already a push to create a starship to another solar system that may have an inhabitable exoplanet. A Lunar or Martian colony–or terraformed landscape–is probably the most realistic short term option. But will Moon colonies be enough? Or will we need seasteads as well, and vast arcologies of housing units that reach miles into the sky? How will 8-10 billion people living for 200 years affect our energy use, our already elephant-sized carbon footprint? One would hope that by the time we are advanced enough to extend our lifespans via biotechnology and nanotechnology, we will also be advanced enough to harvest and utilize energy sustainably. But, once again, sometimes futurism doesn’t actually catch up with the future. Do We Need Life Extension To Journey To The Stars? The 100-Year Starship Project was launched in 2012. A joint project sponsored by DARPA and NASA, the goal of the initiative is to facilitate human interstellar travel within the next hundred years. “Given our current technology arc,” says Principal Director Mae Jennison, the goal is attainable. Of course, the primary challenge to this endeavor is the extraordinary distances involved in traveling to another solar system. The nearest star to the Earth, besides our own Sun, is Alpha Centauri, which is approximately 4.22 light years away. Traveling at the speeds of our current space vessels using Ion Drive Propulsion, a trip to Alpha Centauri would take about 80,000 years. A trip at this length would require hundreds of generations of humans to live and die on what would be a veritable space ark, something scientists call an O’Neill cylinder. The ark is not a very realistic option for various reasons, not the least of which is the massive uncertainties that would arise during an extreme long distance mission. Assuming that wormholes, warp drives, and teleportation don’t reveal new options regarding faster than light travel (which could very well prove to be a misguided assumption), the most hopeful–and, at this time, still theoretical–technology needed to expedite an Earth-born ship to Alpha Centauri is Nuclear Pulse Propulsion. This form of travel could hypothetically attain velocities of 5.4×107 km/hr, or 5% the speed of light. At this speed, it would take a ship 85 years to reach Alpha Centauri. Many scientists believe we may be able to push the speeds closer to 10% or 15% of light speed, but for now we’ll stick with 5%. Even at this most fortunate–and mind-numbing–speed, it would still be a two-generation voyage with today’s life expectancy. To this point, many scientists believe life extension and life augmentation will be necessary prerequisites for our journey to the stars, that for us to master interstellar travel, we must first master certain intractable biotechnological hurdles. They believe this for a myriad of reasons, but principally: one) we will need to augment the muscle and bone of the crew member bodies, which will be significantly weakened by a prolonged exposure to weightlessness, two) as of right now, this is a one-way trip for any cosmonauts who take on the challenge, and three) Alpha Centauri is not our ideal star system (or, the one most likely to have habitable planets), just the closest. To travel to more life supporting stars that we can ascertain beforehand have the Goldilocks zone of Earth-like, habitable planets, we would need to travel upwards of 12 light years. So, in order to realistically travel to another star in the span of a single human lifetime, we will need either A) Faster Than Lightspeed travel, which is currently still considered impossible, or B) Aggressive life extension and augmentation. With significantly extended lifespans, coupled with augmentation against disease and atrophy, new options emerge in our quest to Alpha Centauri. Medical breakthroughs in hibernation might allow the crew to spend most of the journey in stasis, to be reawakened by automatic ship systems. The core point here is, of course, not how long it will take us to build a 100-year starship, or how long it will take that starship to drop us on the doorstep of Alpha Centauri, or even if such a journey is possible by humans–it’s that in order to even approach these questions, we will have to understand far more about the human brain and body, questions that share many common links with the pursuit of biotechnological revolutions in life extension and augmentation. Big news! 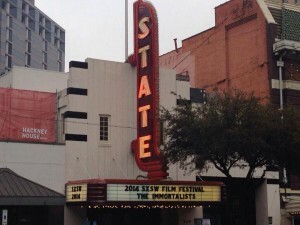 The Immortalists is heading to Austin for the 2014 South by Southwest Film Festival! We couldn’t be happier. This has been the dream from day one: to World Premiere at SXSW, because the audience, venues and topic. This is a great launching pad to kick-off the release of our film. We’ve come a long way since dreaming up the idea in the summer of 2010, when David and I were in a basement working on an experimental video installation project at CCRMA (Stanford’s computer music department). Our first shoot was in a hotel conference room near the San Francisco International Airport on 10/10/10 and we are now able to finally say that the film is done! At times, this film seemed like the only thing that would live forever and truly never die. Screening dates, times to follow. It looks like Bill’s ultramarathon running habit is a virtue for long life, but what about Aubrey’s penchant for imbibing beer? As Aubrey points out in the film, he drinks about four pints of beer a day and maintains a perfect bill of health. During production, Aubrey would start drinking ale as soon as the pubs would open and continue well past when the camera turned off. Well, it turns out that heavy drinking might be more virtue than vice, if long life is the goal. A study out of University of Texas Austin contends that those who drink alcohol outlive teetotalers. Even the heavy drinkers in the study outlived the abstainers. That said, the study points out that moderate drinkers (defined as 1-3 drinks/day) had the lowest mortality rate. Of course, alcohol does nothing to cure aging. Drinks on the house if Aubrey’s approach cures aging! The article sites research indicating that stress causes the release of a hormone called cortisol. Cortisol causes cellular damage and thus results in critically shortened telomeres. While racial prejudice takes a more visible toll on society in the form of police brutality and workplace discrimination, it’s also wreaking havoc on a cellular level as well. It should be noted that the co-directors of The Immortalists are runners, not in the hope of living forever but for health and recreation. In fact, a lot of the brainstorming for the film happened on foggy jogs through Golden Gate Park in San Francisco, and sweltering runs through Brooklyn’s Prospect Park. Our lazy jogs are child’s play compared to Bill Andrews’s epic 100+ mile monthly ultramarathons. The film covers one such 126-mile ultramarathon (I wrote about it at the time) that takes place in the most extreme conditions, including running over two passes greater than 18,000 ft in elevation. Bill runs not merely as sport, but to combat aging. There has been several recent studies to back up Bill’s claim that endurance exercise increases the lengths of our telomeres. In fact, popular running magazines are taking notice of the length of telomeres in ultrarunners and its relationship to aging too. While Bill Andrews runs to slow the aging process down by increasing the chance of having longer telomeres, there are nasty health consequences of running ultramarathons, as the New York Times pointed out, but the reduced risk of cancer and diabetes might outweigh the odds of getting a foot injury or hay fever attack.